HOLA AMIGOS!!! 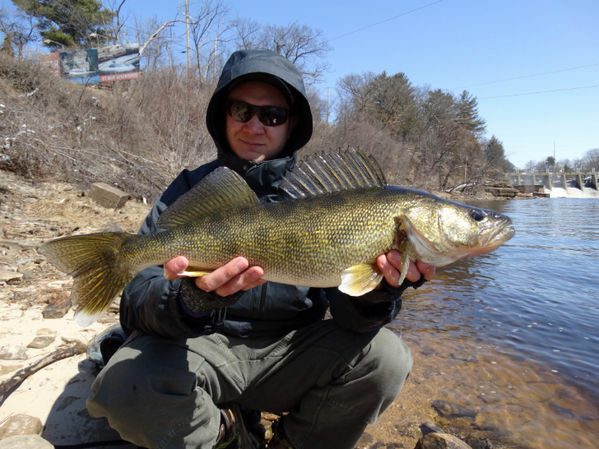 I just watched Gillespie fishing in the Dells for the spring walleye, run and I knew I had to try and get me a fat bottom girl just like the ones I seent on the T.V. !! The river was flowing at a low 7,000 CFS which is IDEAL for shore fishing, as it allows for fishing along the entire reservoir shoreline, as well as several miles worth of shoreline on either side of the river down stream from the dam. Not only is all that shoreline grade A walleye territory, it’s also the final resting place for all the tackle that’s lost by all the anglers on the rocky river bottom. I have had many days where I will find 80 to 100 dollars worth of Rapalas along the shoreline. It’s almost like an Easter egg hunt, while fishing, all at the same time. It’s a great combo. 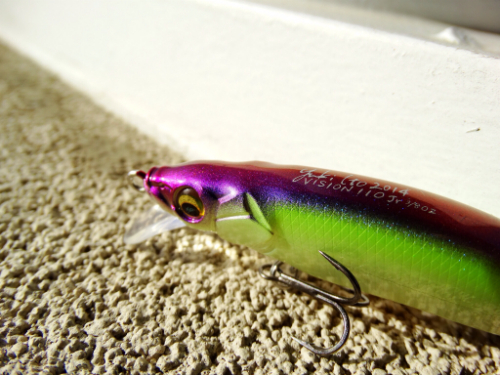 Here’s one of the lures I found on this particular day. A mint condition Yuki Vision Jr. 110. Retail value...25 bucks ! 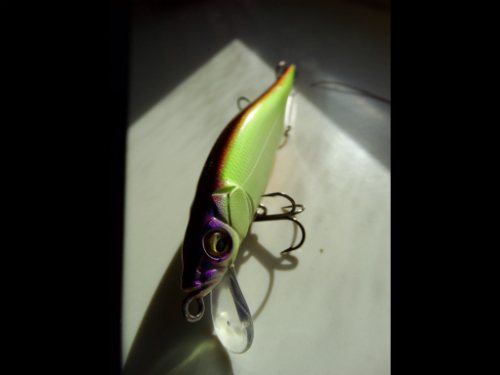 So someone paid 25 bucks for this lure, and most likely lost it on their first couple casts. Awesome find and awesome catch as well. The clear cold water from winter is revealing some treasures to you. Nice work and thanks for sharing! We watched his show years ago and launched out of their resort and I remember we caught over 100 walleyes that weekend with maybe 3 or 4 being keepers but it was fun with constant action. Great report Fletch. You didn't get the selfie with you kissing that gal! A beauty. Ten guys said that lure is theirs........ha! Bruce - I didn’t capture the kiss on camera but she definitely received a big ol smooch. Right between her pretty eyes! Chitown-Angler was started on February 10, 2003 and has received 207366340 page views in total since that date.